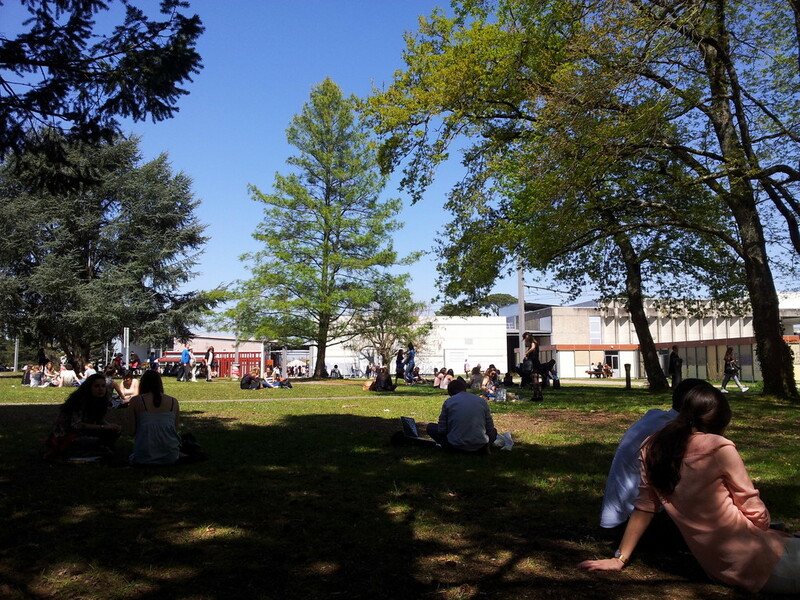 In this post, I will describe my experience at the university of Michel de Montaigne, making a note also about the university of Bordeaux 3. I had some study in this university institute during my Erasmus in Bordeaux, in the academic year of 2014/15. During this event, a team of professors and other assistants that were working specifically for international students, told us in detail about the bureaucratic procedures which we will come in contact with through the coming days (registration to courses, the collection of various documents, etc) and they gave us some useful information about the city. A piece of advice for future Erasmus students: even if you find this part a bit boring, I definitely advise you to follow everything, that is explained to you, with attention, to avoid becoming confused or so the you don't always have to ask others. Anyway, after these two hours dedicated to the presentation to all the necessary information, everything started to be a bit more entertaining. At the end of the meeting, approaching Midday, a large buffet was waiting for us at the exit of the lecture theatre; this was the best moment in which I ha d a chance to make friends with other students (I remember still getting to know a little group of Japanese girls, with who I stayed in contact with the whole of the first semester). During the first two weeks of September, before the start of lectures, all of us Erasmus students had the same problem, regarding the weekly hours of university courses. It was rather difficult to exactly understand how to enrol in the courses, all to be done on the computer, and then receiving instructions in a completely different language to our own, made everything very difficult. During the two semesters of my Erasmus, I took part in the following exams: French literature, medieval French literature, the history of the French language, analysis of the English language, contemporary history, international relations, comparative literature, the geography of English-speaking countries and international marketing. 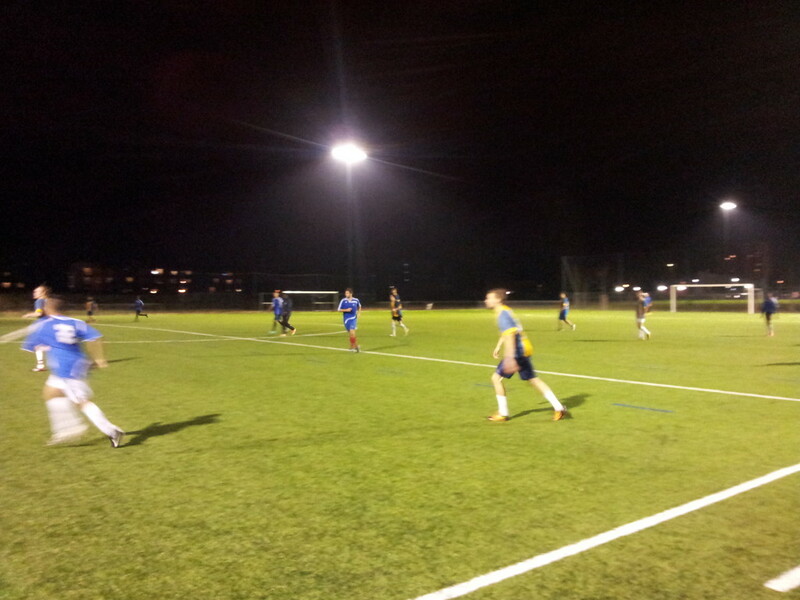 Apart from some exceptions, I observed completely all of the lessons, mainly the last five selected courses. Have to admit that, at the start it was difficult to adapt to a completely different system than to the one I am usually used to. As I already highlighted in the post, where I described my Erasmus, I came across many difficulties regarding the accurate understanding how you had to write a "dissertation". This type of written text was asked for in almost every subject and consisted of the analysis of a text (an extract of a novella historical document etc. ) starting with the formulation of a "difficult problem" and then answering this with a text to articulate it in two or three paragraphs. A type of work that had to be carried out following very rigorous schemes. However, do not not worry about it: usually, for Erasmus students, other types of exams which are easier to do are also available. For the most part of these cases, I had to do a dissertation just for an exercise, whereas for the French students it was real and proper exam for their final grade. Almost every course was subdivided into two parts, called "Cours magistral" (masters course) and "travail dirigé" (tutorial). The first consisted of a typical university course carried out in a big lecture theatre, in which the lecturer explained something and the students took notes. The second consists of lectures mainly based on practical activities, taking place in small lecture rooms with no more than 20 places. During my course I met some really friendly and ever-available teachers. I still remember the friendliest teacher there, who taught English phonetics, that after the end of our last class before the start of the Christmas holidays, invited my Italian friend and I to eat a piece of a cake at a gathering organised by the club of the students of English. The buildings of the university Michel de Montaigne were easily reachable from the station "Montaigne Montesquieu" form the tram line B, situated just in front of the main building. The university was made up of many buildings, almost all of which were dedicated to a letter of the alphabet, the console of a lot lecture halls of every type (IT halls, projector rooms, laboratory rooms, clubs for students etc. ), libraries, canteens and a lot of other services dedicated to students. Being an Erasmus student, I had the opportunity to attend various lessons connected to different departments and to explore entirely all of the university buildings. The biggest lecture theatre is the amphitheatre no. 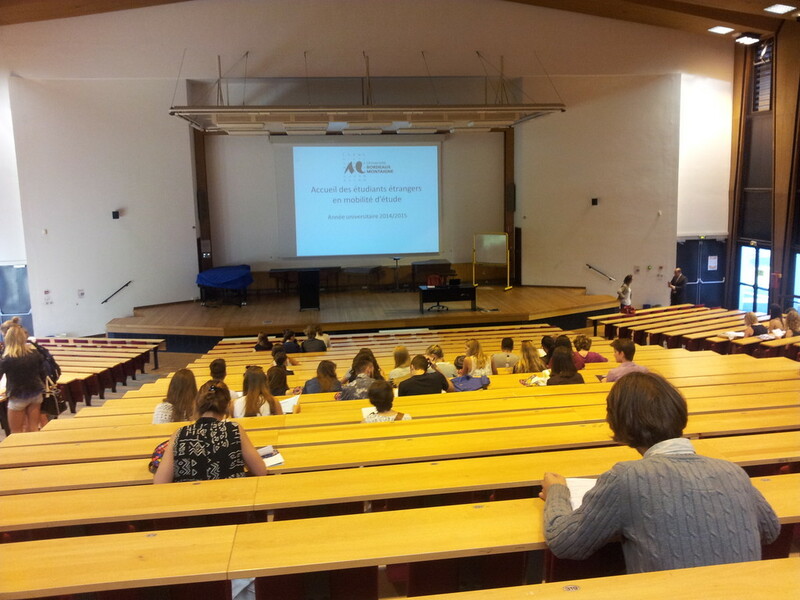 700, a lecture hall where they hold some lectures and carry out important events, such as the welcome morning for the international students. 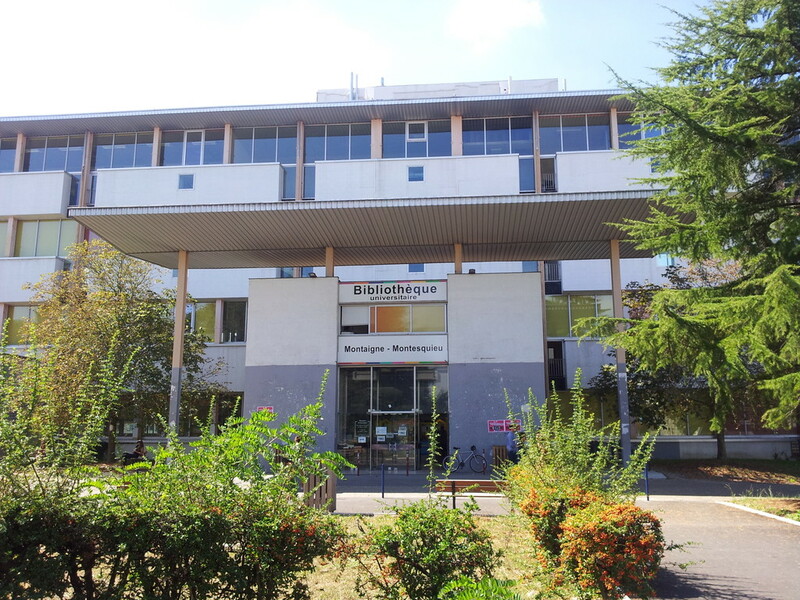 On the first floor of the main building (the building that has the information points and other administrative offices) you can find "Il pôle mobilité international", an office that works mainly on all the bureaucratic procedures that international students have to fulfil during their period of mobility (such as admission to university courses or the confirmation of the grades for exams that were taken). For any doubts or support for anything, you can talk to the people in this office, who are always friendly and available. For example, I have to thank an assistant of this office as I found a beautiful house here after three long weeks of searching. Useful Advice: Always make yourself aware of the opening time and the days of closure. 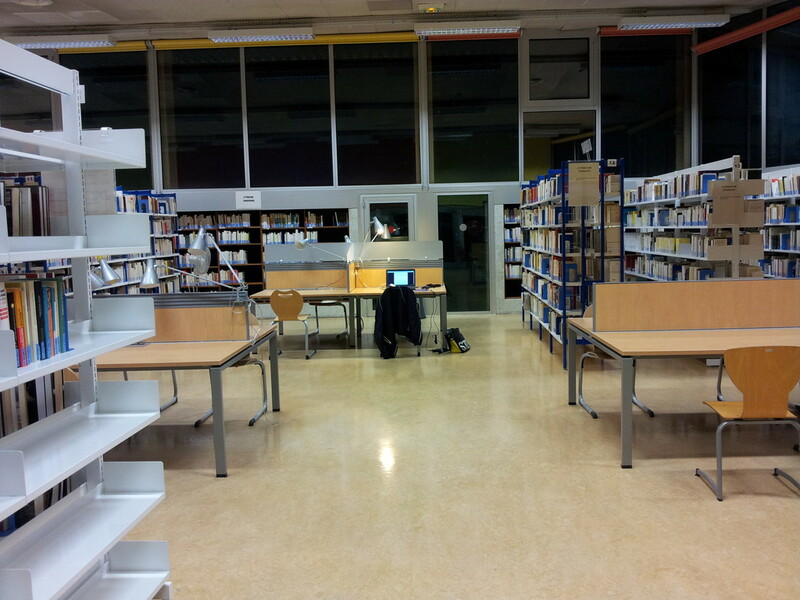 It was 18:30 and, as you can see from the photograph, the library was almost empty. 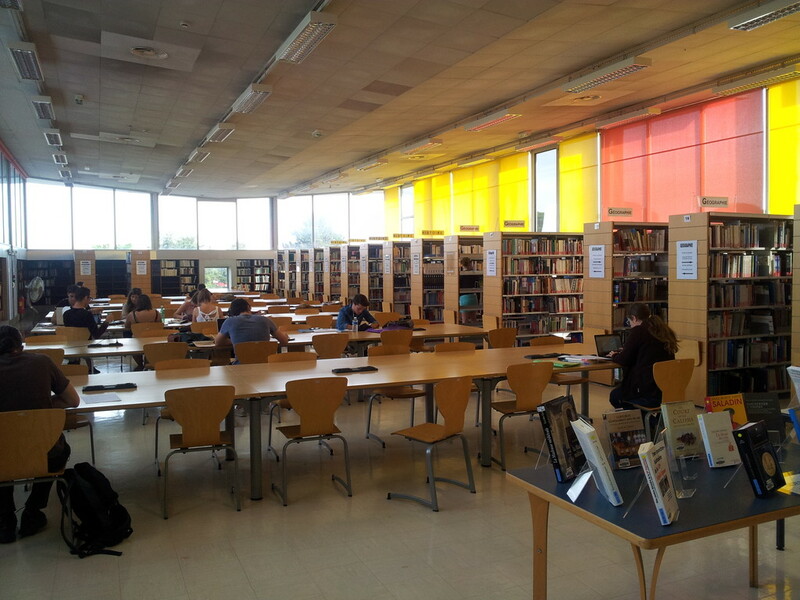 The right atmosphere for studying and concentrating without distractions! The only occupied seat that you can see, is mine. The ground floor of the building is home to the library of Law and economics; if you need to rent some documents, you can find printers here, that are easy to use and always available. If you are in the university and need to use a computer with an internet connection, even just to go on Facebook or to listen to a song on YouTube (obviously put in earphones so that you do not disturb others), I would strongly advise you to use the computer room, situated on the first floor building K. Here you can find lots of comfortable seats and equipped with the latest computers, that you can use to searching whatever. I often spent many of my afternoons here, even only just to have a little relaxation time after the lunch break. If you're a student at the university Michel de Montaigne, you have various possibilities to choose the bar, where you can eat lunch. 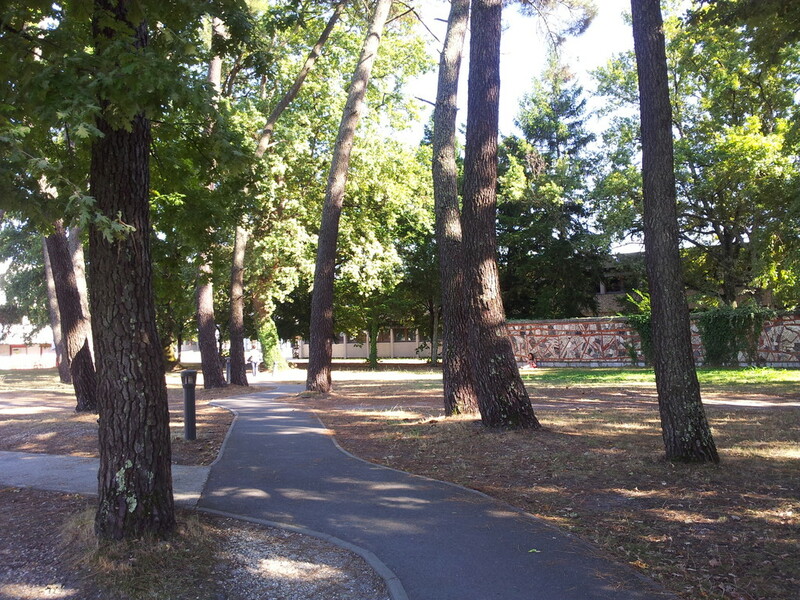 Some of the restaurants that I have been to or seen personally are the university canteens situated next to the university of Bordeaux 4, noted simply as "rest Universitaire". It is the one that I used every day and maybe, it is also the the one most used by all students too. The restaurant is organised into two floors (the kitchens, the tills and the counters were you have to order, are situated on the ground floor) and there are also external tables and chairs at the bar. The prices are extremely low and the food that is offered is of good quality: If you show your student card at the till, a single meal composing of First and second course as well as dessert, costs just 3 euros and 20 cents. Additionally you have the possibility to get something for free, such as bread or bread sticks. I remember that there was also another option, that comprised of a fixed menu at no more than 3 euros. If you want to get a coffee, croissant or some fruit juice at the entrance of the canteen, there is also an English cafe open every day. The time in which it has the most influx of people, is between 12:30 and 13:00. If you want to avoid endless waiting queues, I advise you to have lunch outside of this time slot. For the students of the university Michel de Montaigne, there is the possibility to take part in a vast amount of sporting activities that range from 5-a-side football to bodybuilding or from yoga to surfing (carried out on the beautiful coast of the Atlantic Ocean). In order to take part, you need to fill out a registration form and present it with a passport photo and a photocopy of your ID card. 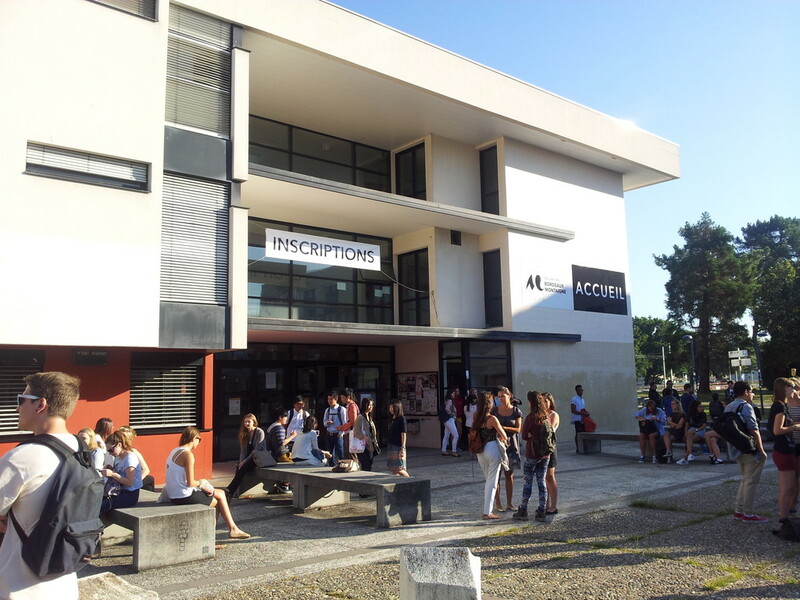 To collect some information yourself, you can go to the university sport office, which is located to the side of the main building (bâtiment accueil). I registered for the body building course, as I would have had the possibility to go to the gym three times a week for only 20 euros, which was valid for the entire year! Unfortunately, due to dedicating my time to studies and other entertainment, I was never able to take advantage of this opportunity. In general, I can consider myself satisfied with this experience. Share your Erasmus Experience in University Michel de Montaigne - Bordeaux 3! 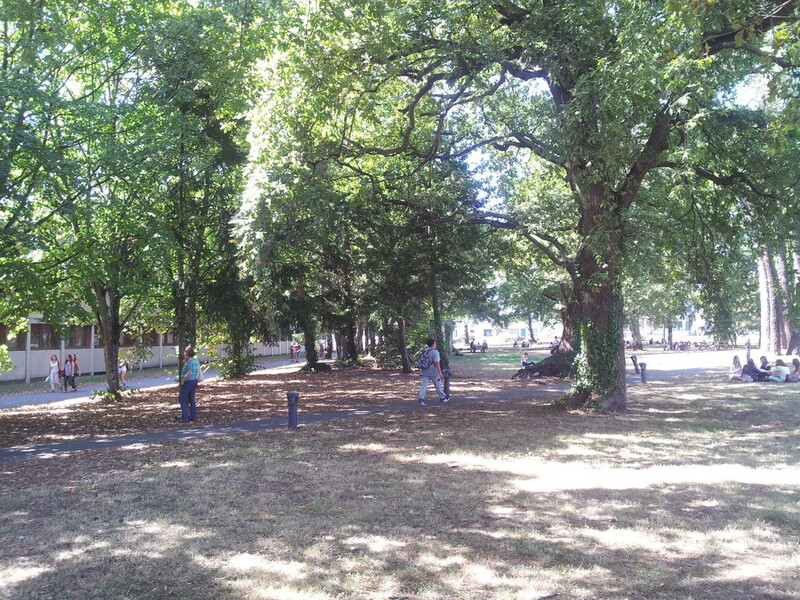 If you know University Michel de Montaigne - Bordeaux 3 as native, traveler or as exchange student... share your opinion on University Michel de Montaigne - Bordeaux 3! Rate different characteristics and share your experience.